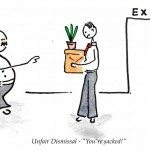 How do I appeal my dismissal? If you have been dismissed you should look carefully at the letter of dismissal and consult your contract or staff handbook to find out how to appeal. In any case it is good practice to submit a written appeal within 7 days of receiving confirmation of your dismissal. What should I write in the appeal letter? You should state clearly that your letter is an appeal and go on to set out the reasons why you think you shouldn’t have been dismissed. Be as clear and concise as you can. Avoid the temptation to ramble when writing about what will be a very emotional issue. Think very carefully about why you are appealing. 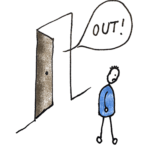 do you think that you have been treated less fairly than other staff in the same circumstances? Look at your employer’s disciplinary procedure. If your employer has any sort of written disciplinary procedure then go through it carefully. Look for any discrepancies in the way that the disciplinary process was conducted and the way it should have been conducted. Small differences are unlikely to effect the outcome but sometimes a failure to follow the procedure can make a difference to the decision that your employer arrived at. Common errors are allowing the same person to conduct the investigation and the hearing or allowing a person involved in some way to be a decision maker in the process. Your employer has dismissed you but imposed a less severe disciplinary sanction on a colleague for the same conduct. Is there anything about you which should have been taken into consideration before you were dismissed? Was it harder for you to give a good account of yourself in a disciplinary hearing? Did you need help or extra time to consider written documents? Do you have any sort of disability, illness or long-term condition which your employer should have taken into consideration? Did the circumstances of your dismissal arise out of something connected with any sort of disability? 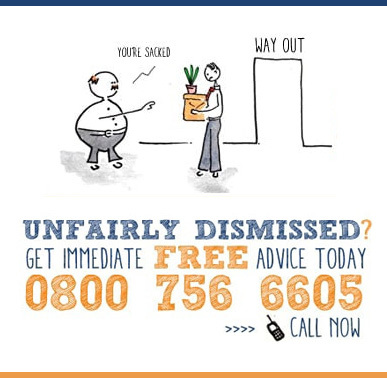 For example, if your dismissal was ill-health related has your disability related absence triggered a sickness absence disciplinary? You must issue your claim to an Employment Tribunal or notify ACAS of your intention to issue a claim within three months (three months less one day) of your dismissal. If your employer is dragging its heels with the appeal process then you will have to issue before the appeal has concluded. The clock starts ticking from the moment you were dismissed.